One of the most rewarding aspects of last year’s sesquicentennial was its ability to bring Canadians together for meaningful conversations about the future of the nation. Throughout last year, communities and people across the country made important connections that will endure for years to come. 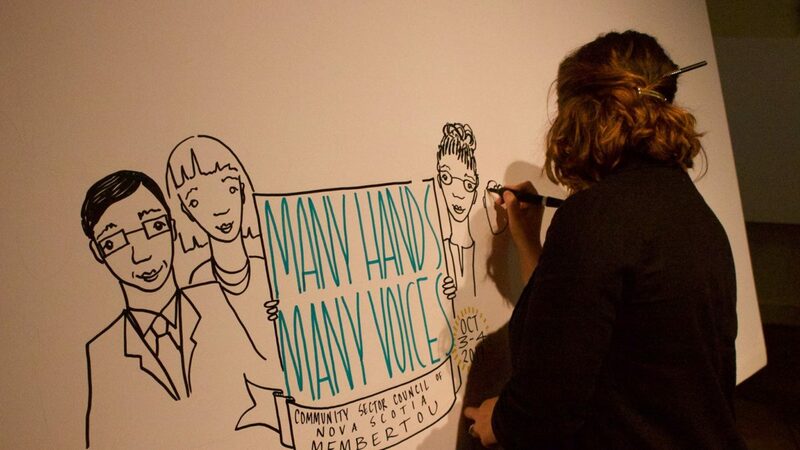 For just one example: Last October, the Community Sector Council of Nova Scotia (CSCNS) hosted the Many Hands, Many Voices: Working Together for Stronger Communities conference. The event assembled more than 200 leaders from that province’s business, community, education and government sectors. Many partners sponsored the effort, from small businesses all the way up to the provincial government. 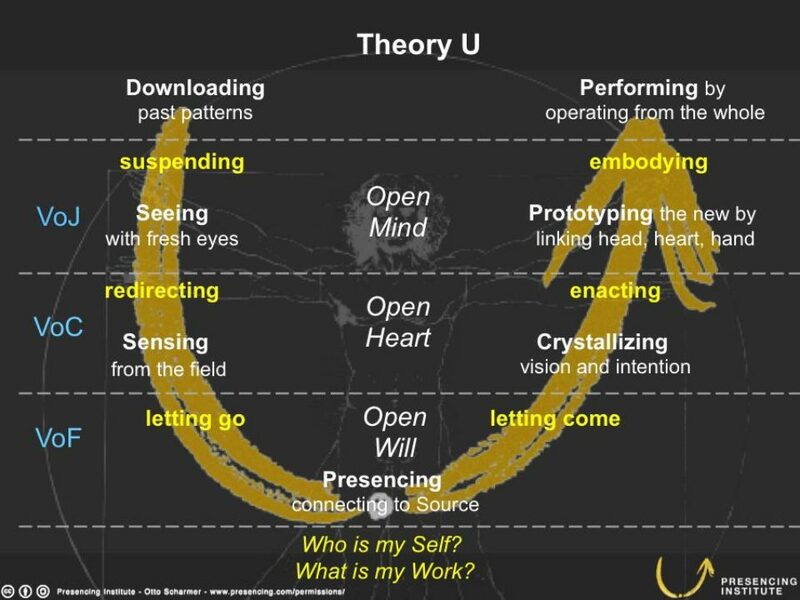 Unlike schedule-driven conferences, Many Hands, Many Voices was designed around Theory U principles, based on the book and learning management theory by Otto Scharmer. Theory U is meant to help political and civil leaders disrupt old unproductive patterns of behaviour and empathize with their clients’ perspectives to produce more effective patterns of decision-making. The model, content and flow of the conference clearly resonated with attendees. 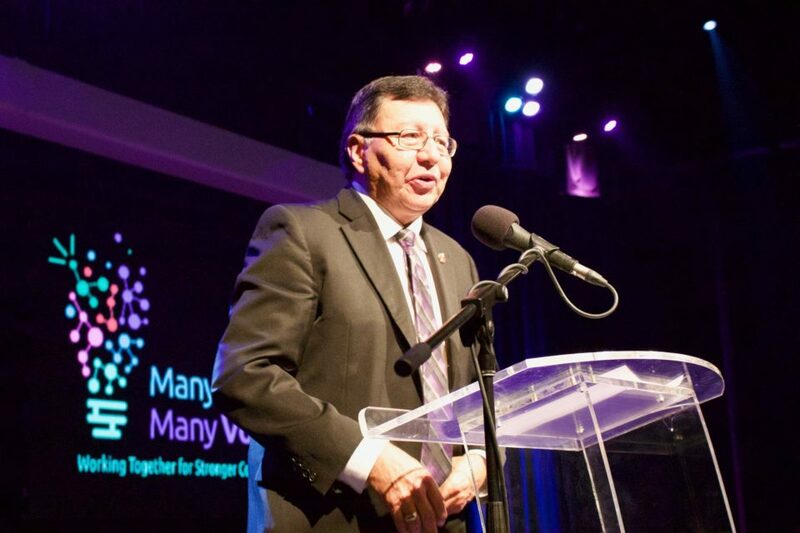 Senator Dan Christmas delivers the keynote address at the Many Hands, Many Voices conference. This year, the CSCNS has turned its attentions toward other events in the region, including acting as an Atlantic host for the Econous 2018 economic conference (September 24–28, Moncton) and supporting both the Antigonish movement and the development of the Coady Institute at St. Francis Xavier University. This comes in addition to CSCNS maintaining a roster of its own community activities. To add your organization’s voice to the Sector Council and nonprofit sector in Nova Scotia, follow this link and become a CSCNS member today.